Heading into summer, Culver's adds two new menu items: the Spicy Crispy Chicken Sandwich and Pretzel Bites. 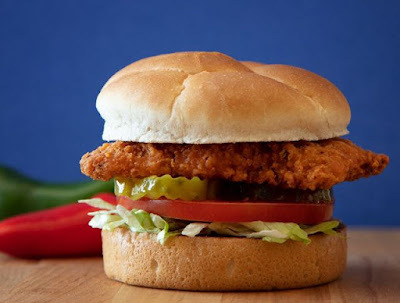 The Spicy Crispy Chicken Sandwich features a chicken breast filet that's marinated with a four-pepper blended and also features the same four-pepper blend in its breading. The filet is joined by lettuce, tomatoes, and pickles on a butered and toasted Kaiser bun. 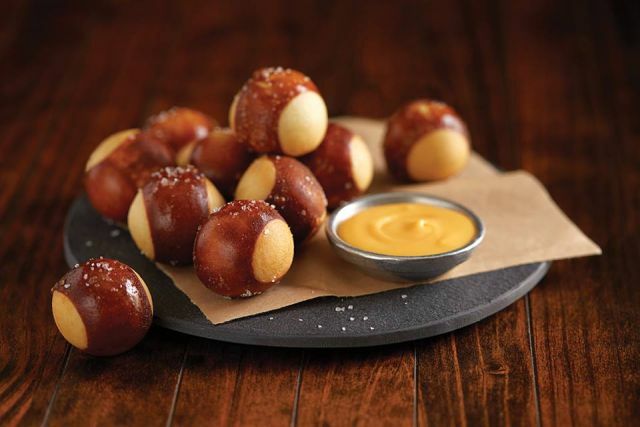 New Pretzel Bites consists of deep-fried soft pretzel bites with Wisconsin cheddar cheese sauce for dipping. Both the sandwich and the Pretzel Bites are available through July 29, 2018, while supplies last. Additionally, the chain has brought back the seasonal Strawberry Field Salad for a limited time. The salad features grilled chicken, grape tomatoes, strawberries, blue cheese crumbles, and lightly-salted pecans on a bed of mixed greens.